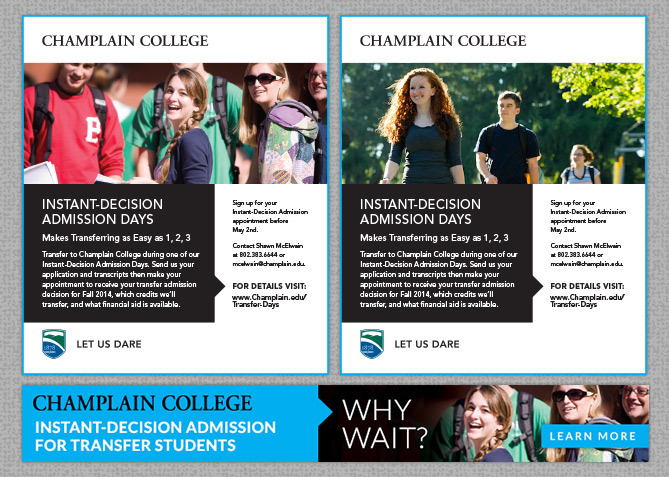 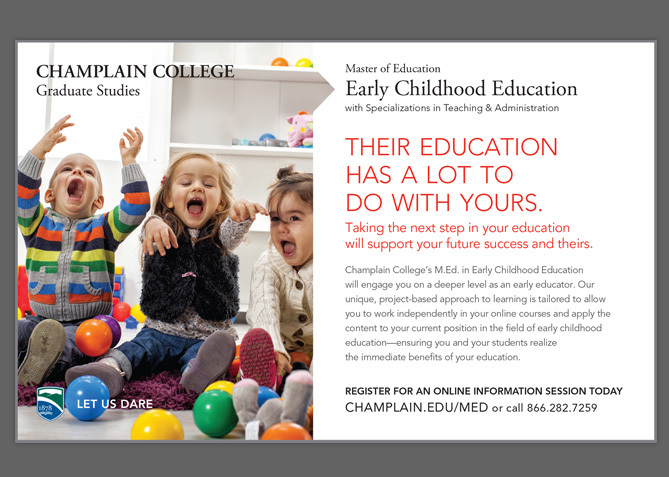 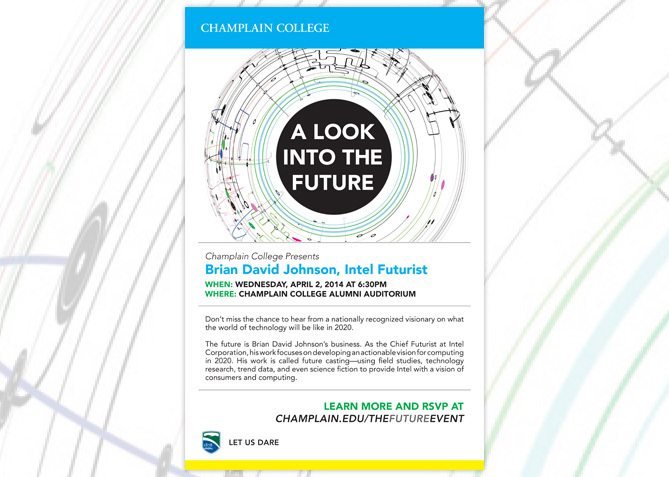 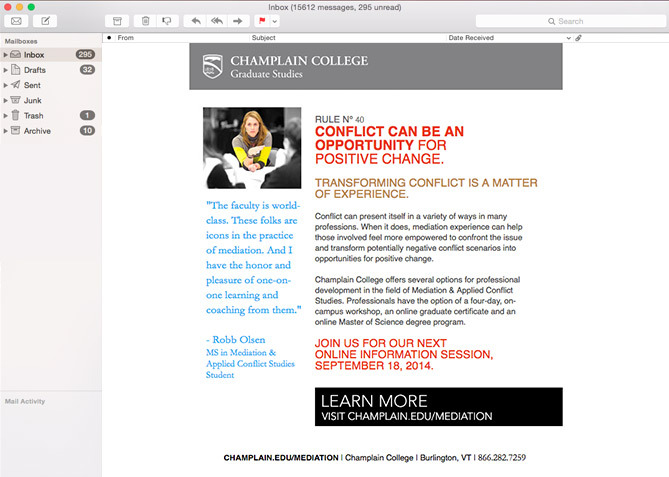 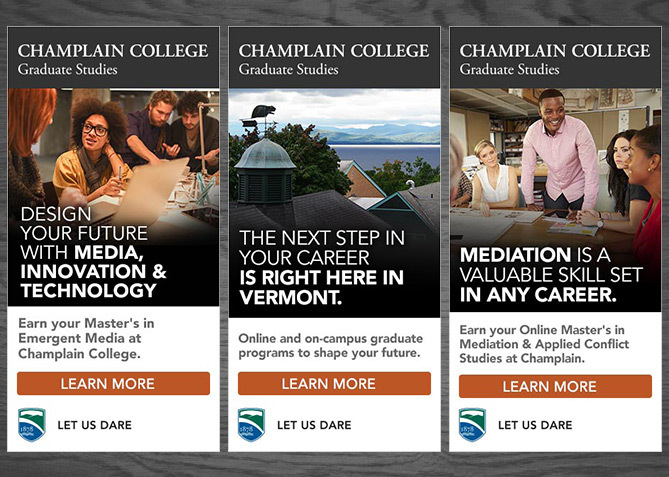 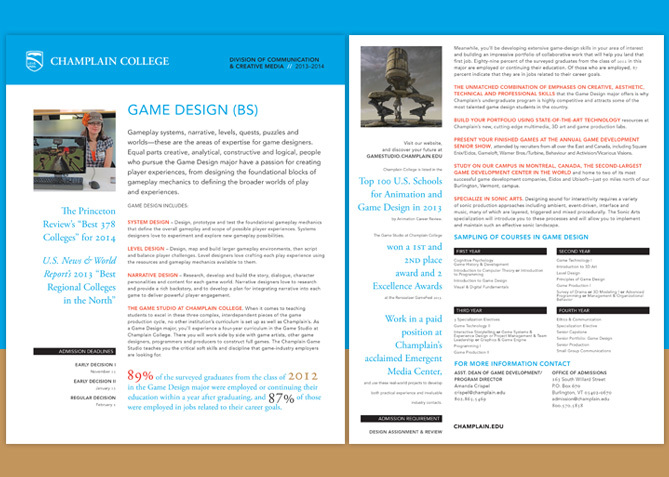 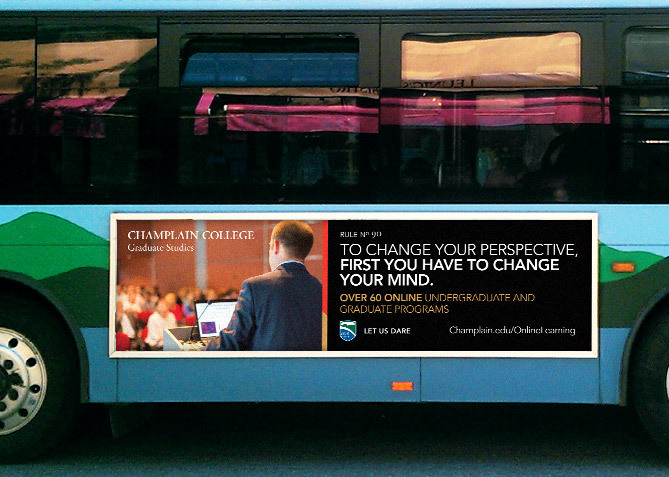 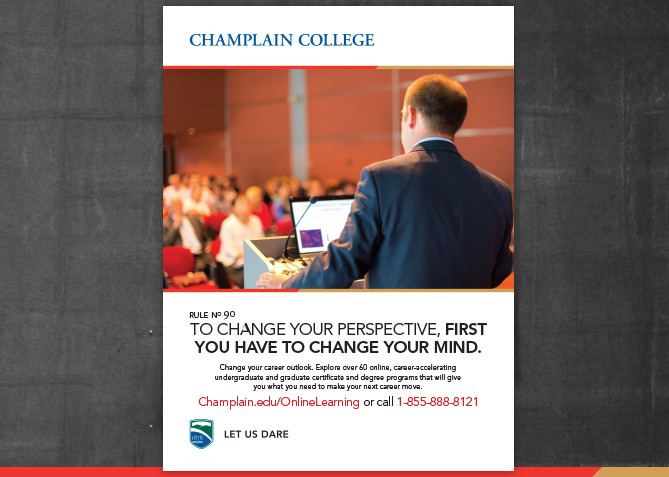 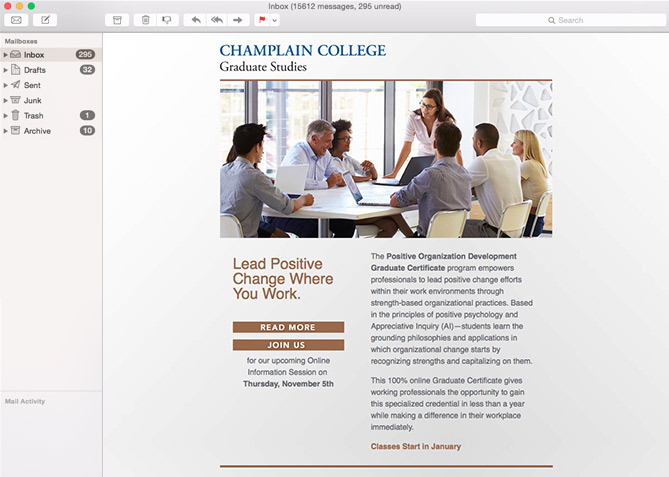 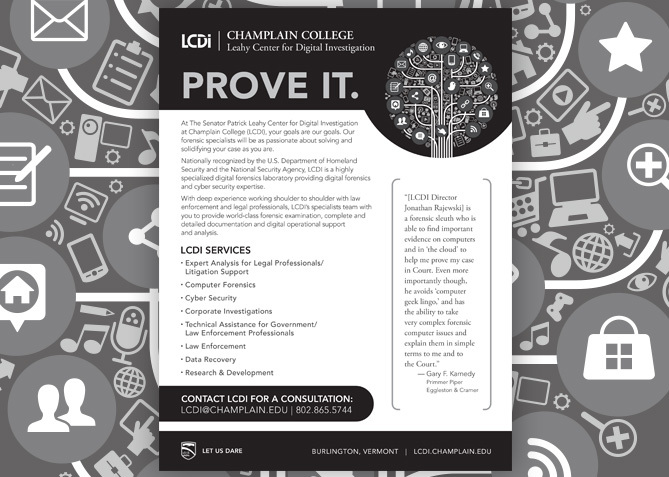 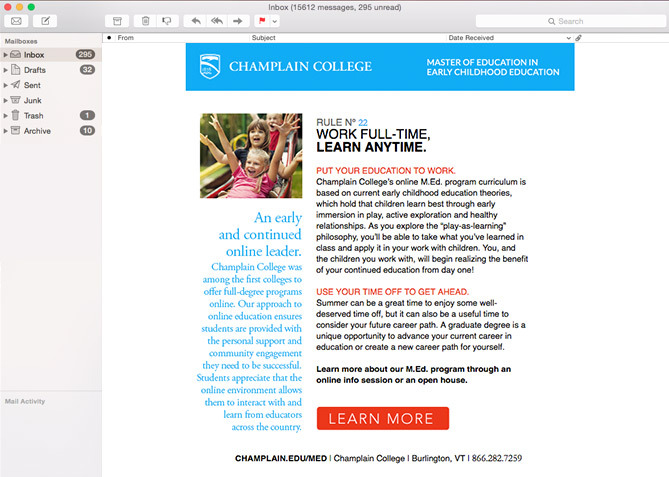 As one of Northern Vermont’s leading design schools, not only is Champlain College a client, but it's also actually the place we sprouted our roots. 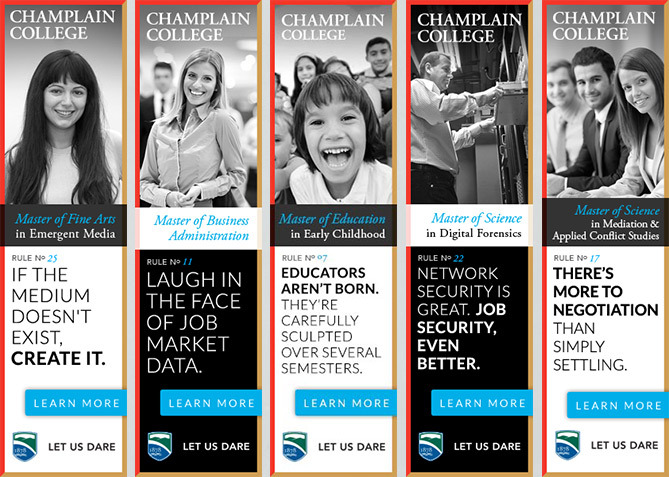 With two of Four Nine Designs’s founding partners being Champlain Alumni, we’re quite fond of our alma mater, and we take great pride in being able to give back to the institution that helped us lay our foundation in the design world. 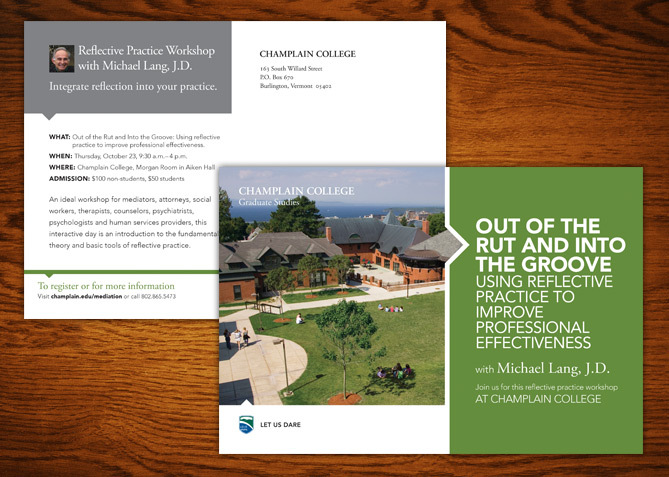 With our days on campus behind us, we’re called upon by the graduate programs to support with graphic design work on a frequent basis. 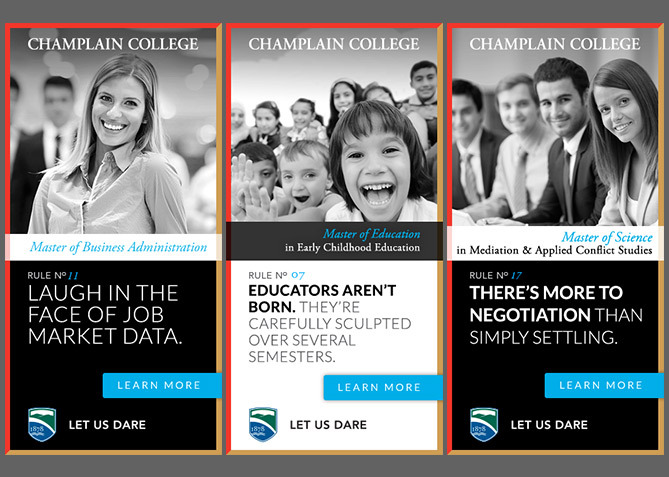 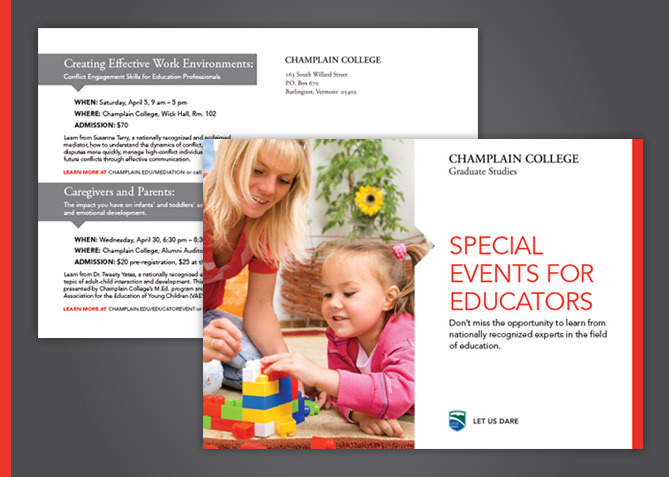 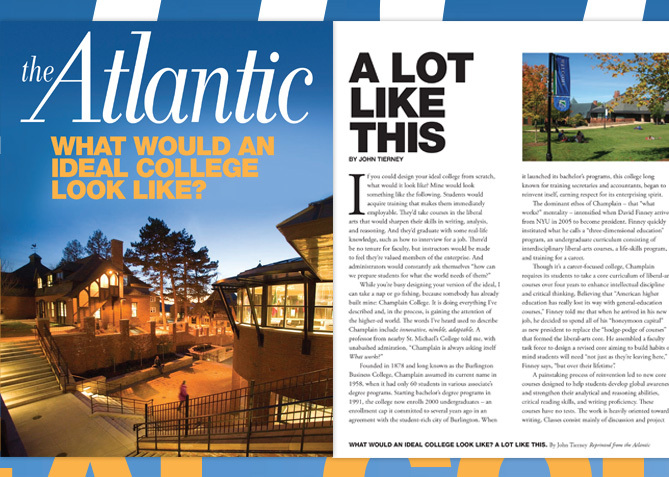 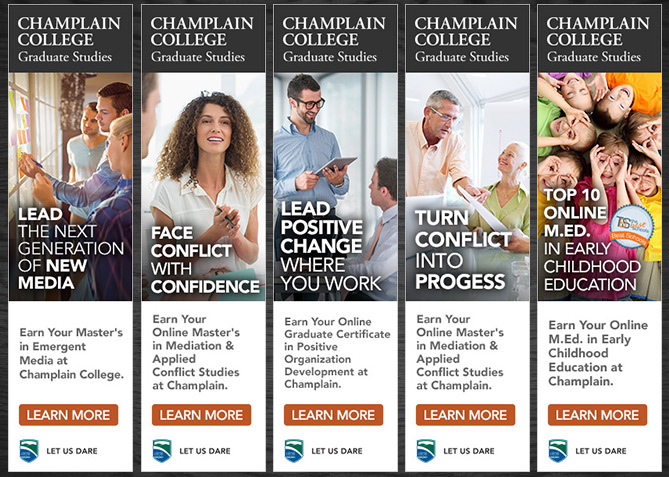 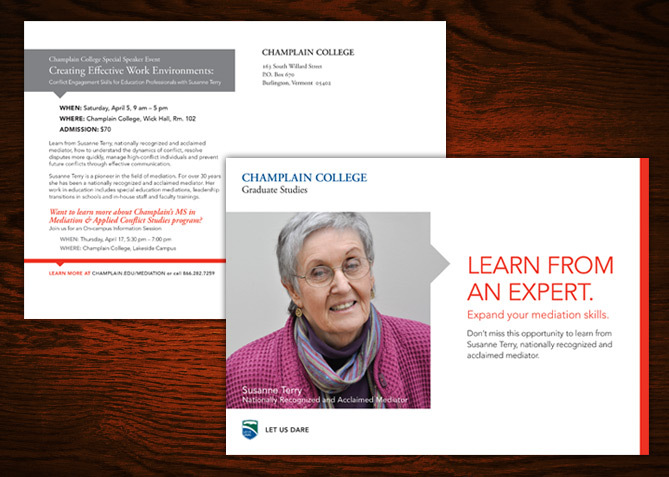 As an institution with well established brand standards, we were tasked with creating short to mid terms communication campaigns that pop and bring attention to one of Northern Vermont’s premier design schools.